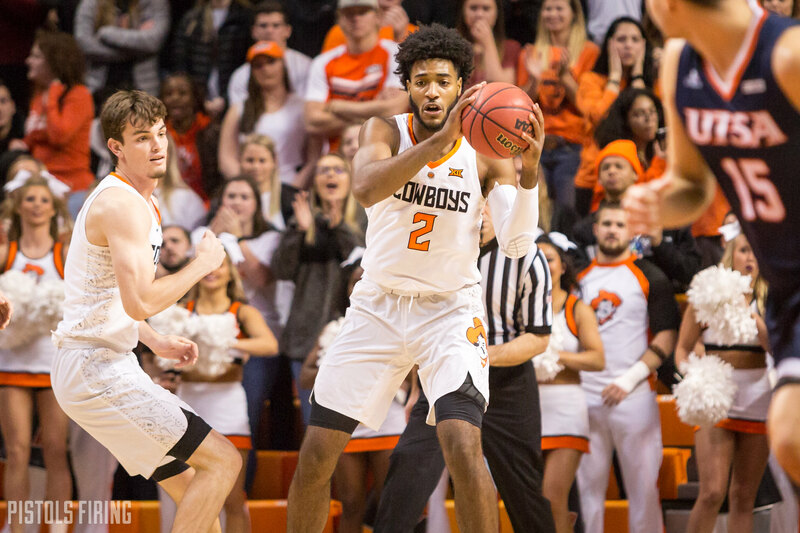 On Jan. 16, Maurice Calloo, Kentrevious Jones and Michael Weathers were formally dismissed from the OSU men’s basketball team for a violation of rules. On March 6, the Tulsa World reported those rules were, instead laws: the trio were charged with nine counts of malicious injury to property stemming from a Jan. 1 incident involving damage to vehicles using an air rifle. The dismissals and the incident are related. As we sit here on April 10, however, one player could potentially return. OSU coach Mike Boynton at the time left the door slightly cracked open when asked if the dismissals were permanent or if a return to the program was possible. Calloo averaged 10.8 minutes per game as a bench player last season. The Windsor, Ontario native showed signs of developing into a useful forward.